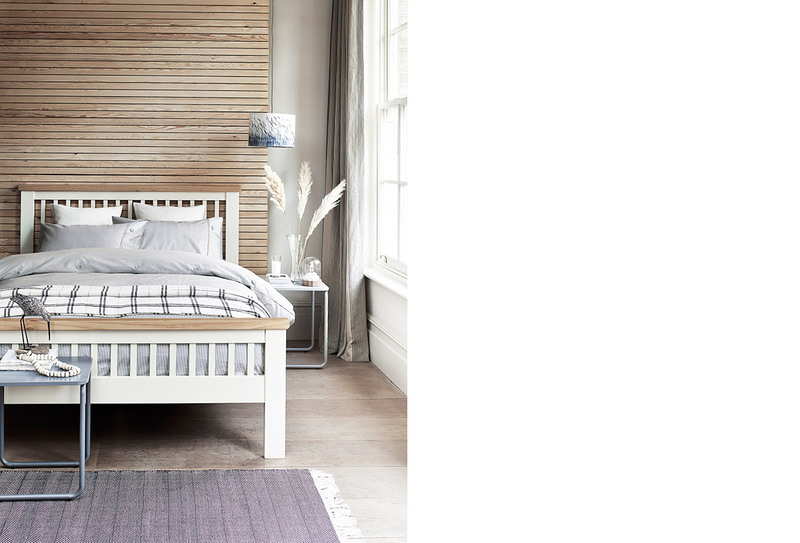 As a place of rest and relaxation, your bedroom deserves more than just the basics. 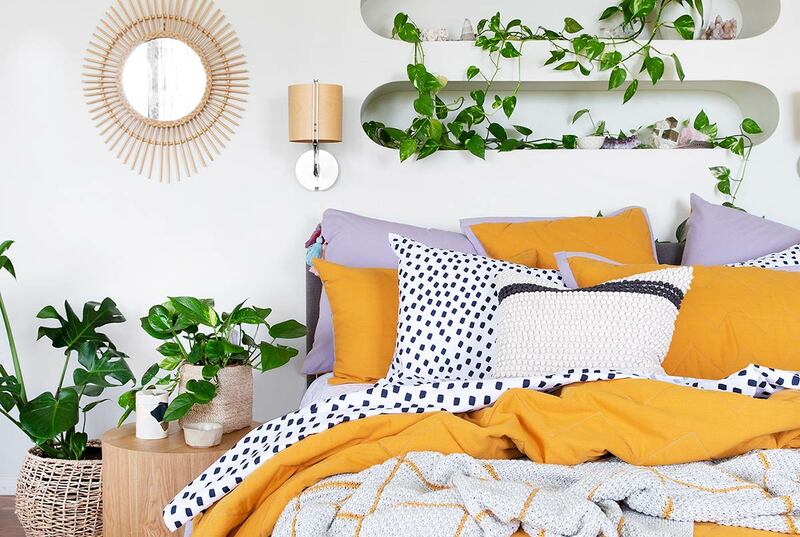 These dreamy bedroom styles will set you in the right direction. Tiles usually present a hard and cold-looking appearance but in the context of this bedroom, it works beautifully as a striking focal point. 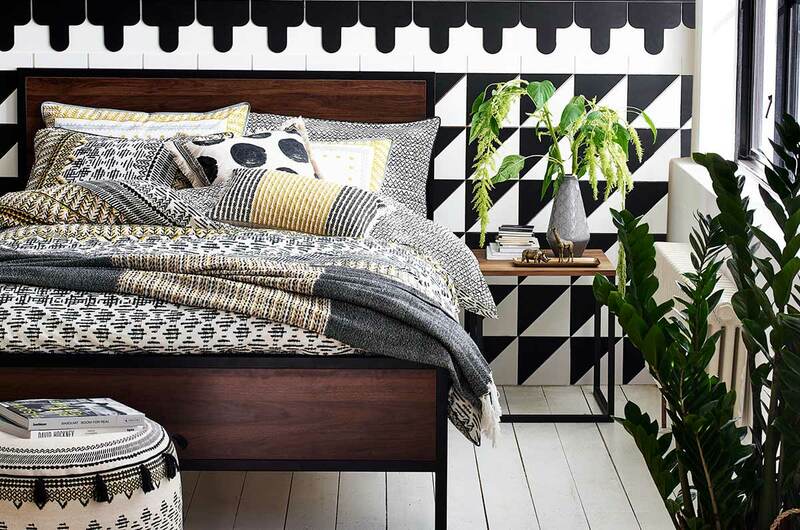 The monochromatic tiles in geometric patterns helm the headboard area with a strong visual interest and light up the room with an exotic Moroccan flavour. 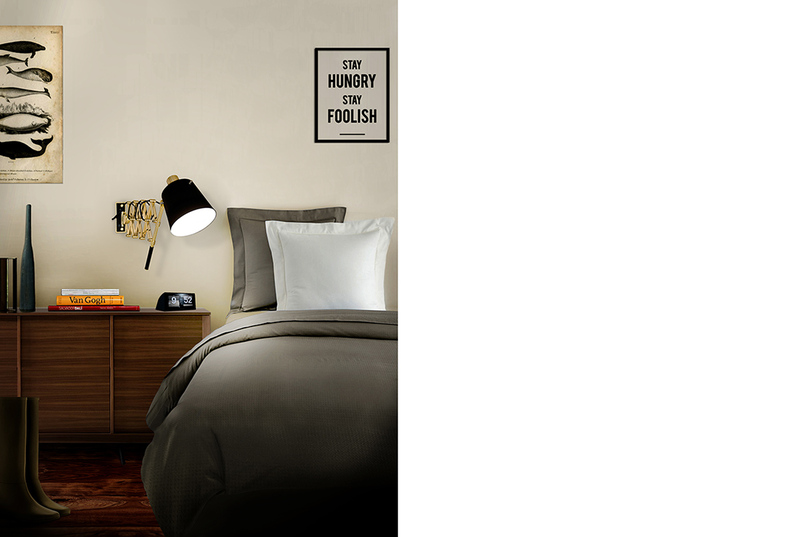 Manhattan studios are notoriously tiny and if your bedroom is on the smaller side, it can benefit from this simple but characterful style. Wood furniture with a mid-century modern charm adds a stately touch while wall hangings maximise the wall space without scrimping on style. By keeping things organic with handmade pieces, this room shines with a warm and laidback vibe. 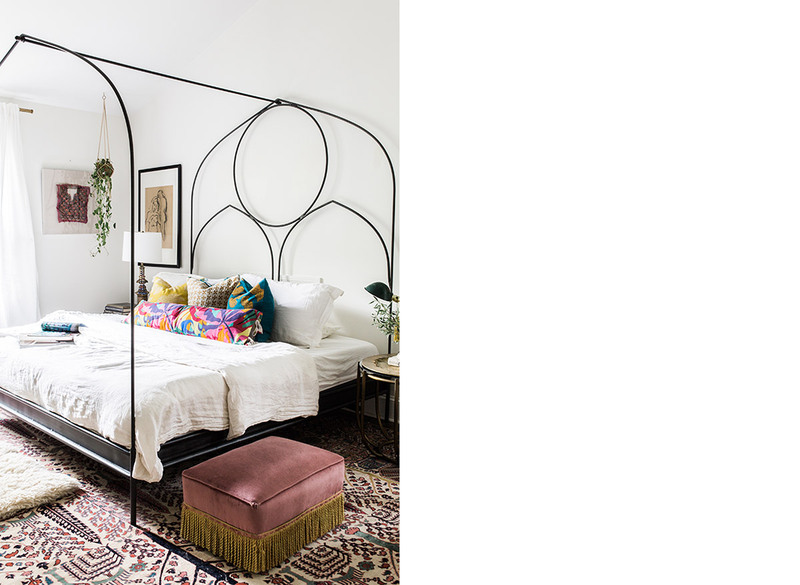 The choice of a thin iron-wrought canopy rather the thick traditional frame adds much visual splendour with its alluring form and patterns. Light wood textures and clean-cut white hues are vital in creating an inviting ambience for this bedroom. These simple but surreal design touches give the space a sun-kissed glow like no other. Plus, by matching the flooring with the feature wall, it elongates the space for a larger and airier visage. One that scores high on both restful aesthetics and practicality, this double volume-ceilinged bedroom maintains the right balance in both aspects. While a pitched roof cuts through the space, the decision of having recessed shelving only at the top bunk reduces visual clutter for a more serene ambience. If you hanker for a touch of green in your sleeping space, these climbing plants beautify the wall with much vigour. This living installation is well-matched with nature-inspired textures such as the woven rug, wooden block nightstand and starburst mirror for a tactile style take. Like a bit of sci-fi wonder in your sleeping space? Use edgy forms and hints of metallic surfaces to evoke the futuristic mood without going overboard. This restrained approach also gives the bedroom a polished look. Waking up to five-star opulence every day is a reality in this neutral-coloured bedroom. 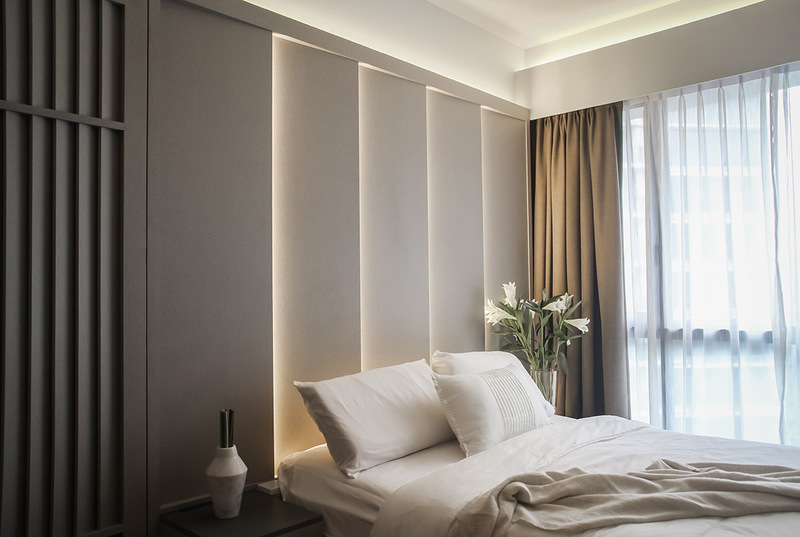 The warm neutral colour palette is illuminated in softness and sophistication by the louvred lighting design concept. 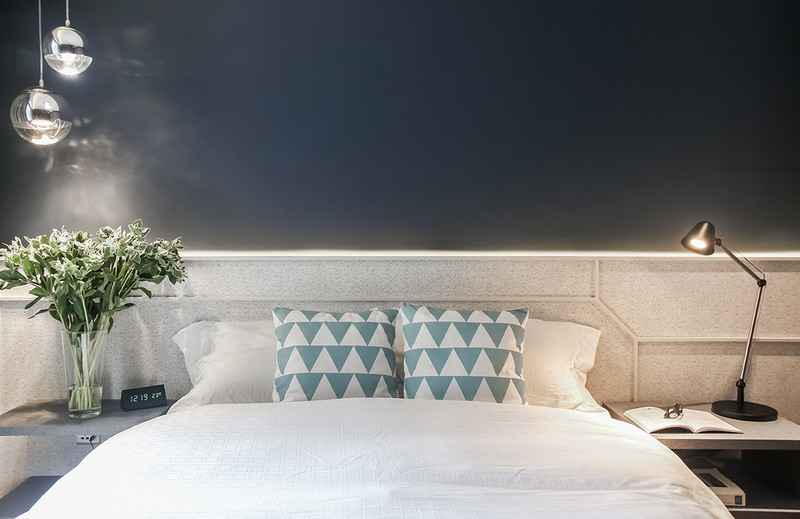 While there are many industrial-style bedrooms out there, this newly-expanded sleeping space sets a distinct design tone with its sophisticated monochromatic colour scheme. 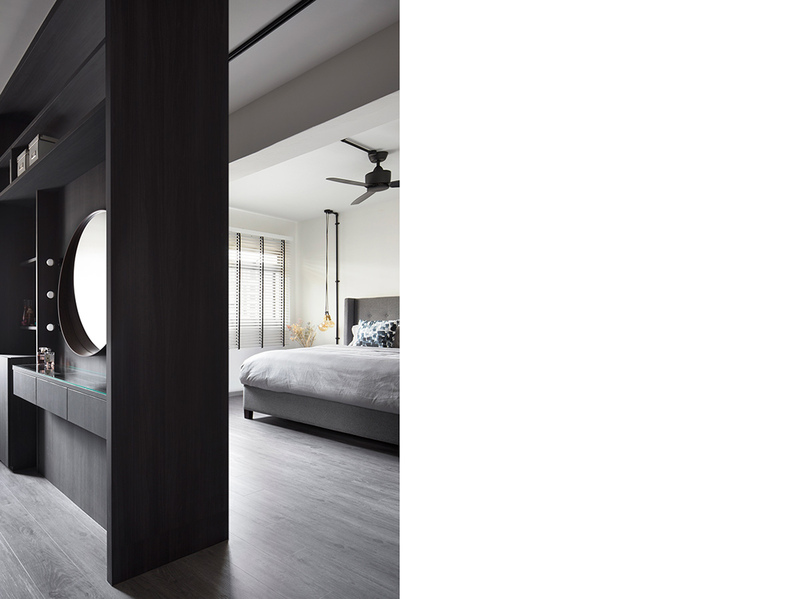 The introduction of a dark-coloured divider oozes with sublime sleekness and caters much functionality and privacy to demarcate the bedroom from the walk-in wardrobe. 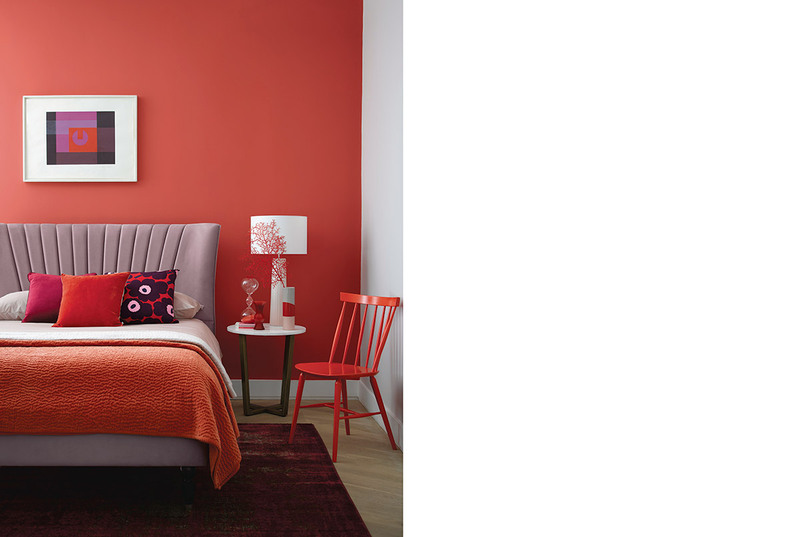 Simple does it in this contemporary bedroom which engages a strong colour focal point. This crimson red fills the space with a crisp outline and having it on just one wall is a good idea not to overwhelm the senses. This less-is-more mantra is also cleverly practised by adding more colours through the use of selective pieces and soft furnishings.